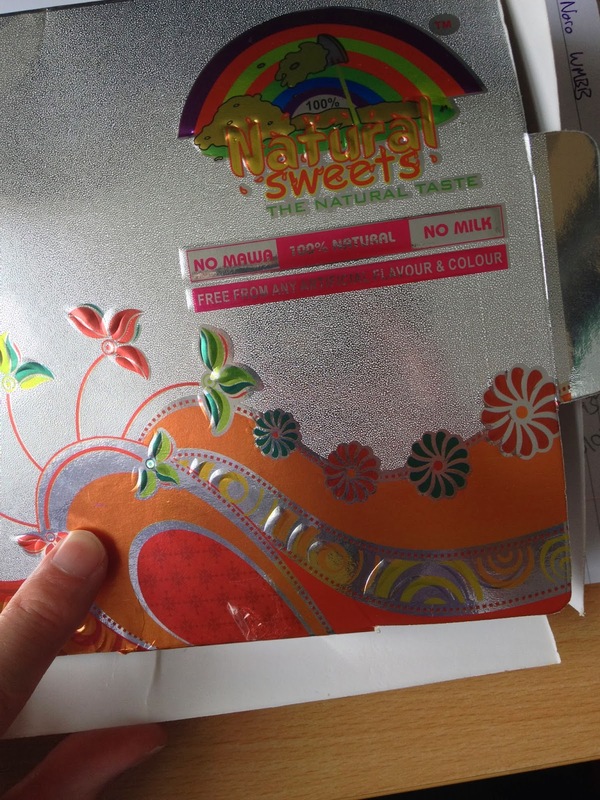 A while ago a box of these Indian inspired 'Natural Sweets' found their way into our office. 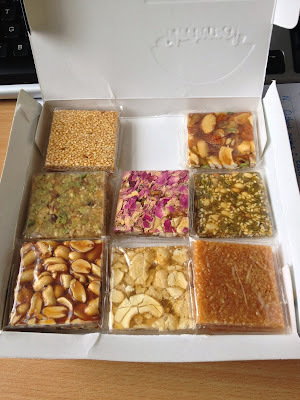 There were a whole lot of nut flavoured varieties with peanuts and pistachios and sesame seeds, but the two I chose were vermicelli and rose petal and nuts. First up I had the vermicelli - which I snapped into 9ths and sucked and crunched. 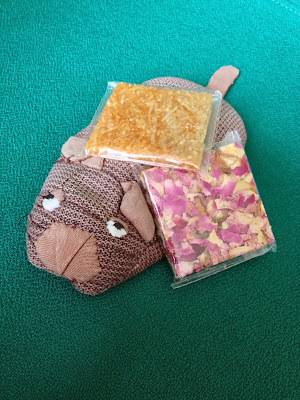 It was surprisingly not too sugary and was very crunchable. I ate this in two sittings, so as not to overload on the sticky, goodness. Next up I tried the Rose variety which had rose oil in the slab, but with the petals on top for texture and decoration. This was a lot harder, with the sugar filling in the gaps and it wasn't as easy to crunch. Consequently I've been eating this one 9th at a time. The background sugar in these tasty a lot like western candy-floss which is nice, but I think the larger the amounts of the sugar in their the harder it is to eat and enjoy. I think I'd go for the ones with the least sugar in for future dips into this range, but it was a very enjoyable experience overall.